Sekhmet (“The Mighty One”), the lion-headed goddess of ancient Egypt, was dreaded for her bloody rampages. 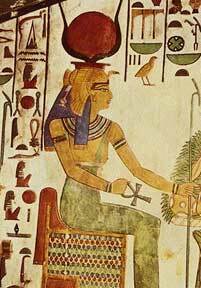 Yet she became the protector of kings and a favorite personal goddess of millions of Egyptians. Why did Egyptians have a goddess who required such assiduous and even obsessive propitiation? Why did other Egyptian goddesses play roles similar to Sekhmet’s? What explains Sekhmet’s dual nature as destroyer and protector? Why was she called the Eye of Ra? Why was she originally depicted with an oval disk on her head? We now have good answers to these questions. But in order to understand them, we need to see why we should think that Sekhmet was Planet Venus. And that requires us to investigate a major case of scientific rejectionism. The biggest controversy in planetary science since Copernicus and Galileo revolved around the question of whether Venus had once been a comet. 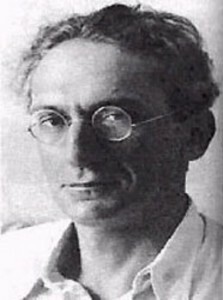 Psychoanalyst Immanuel Velikovsky’s 1950 book Worlds in Collision1 touched off a bitter debate that went on until his death in 1979 and, in a subdued but increasingly fruitful way, continues to this day. Velikovsky interpreted the Greek myth that Athena had sprung fully armed from the head of Zeus to mean that the planet Jupiter had ejected Venus as a comet that then entered the inner solar system. Every 52 years Venus approached Earth, Velikovsky argued; and their encounters caused tsunamis, earthquakes, and other catastrophes recorded in ancient texts. Finally, after many interactions with Earth and some with Mars, Venus circularized its orbit and gradually lost its cometary tail. Not surprisingly, many scientists found this hard to believe. They pointed out numerous mistakes by Velikovsky. They considered the notion that Venus had exploded out of Jupiter especially bizarre and contrary to the laws of physics, leading many to consider Velikovsky a kook and to dismiss his theory out of hand. With the passing of time, however, new evidence and reinterpretation have emerged. Instead of the unpersuasive argument that Venus burst forth from Jupiter, we now see that another myth that Velikovsky failed to interpret offers a satisfying explanation. Zeus was said to have turned Metis, after impregnating her, into a fly who then zipped into his mouth. Metis gave birth to Athena inside of him, and then Athena emerged from his head. In effect, a Greek observer had spotted proto-Venus as Jupiter’s immense gravity pulled it from the outer solar system and tidal friction heated it up to incandescence, and the Greeks called this Metis. Once we reinterpret the origin of Venus in this way, then the remarkable astronomical, geological, archaeological, historical, calendrical, iconographic, and linguistic evidence that Velikovsky amassed in favor of the Venus theory comes to bear. And now telling new evidence from Greece, the Ancient Near East, China, Europe, and Mesoamerica adds to it, as do new interpretations. Thus it seems fair to say that Velikovsky’s Venus theory, with one important correction, has triumphed, though some of his claims were clearly ungrounded2 and many peripheral issues remain open to debate. Velikovsky had a second theory as well. Herodotus wrote that Egyptian priests had told him that four times since Egypt became a kingdom “the Sun rose contrary to his wont; twice he rose where he now sets, and twice he set where he now rises.” Velikovsky interpreted this to mean that during four approaches of Venus the interaction had caused Earth to turn over. He adduced some evidence for inversion, and physicist Peter Warlow in his book The Reversing Earth3 supplied a mechanism to explain it. Now we have rough estimated dates for the four inversions: 2200, 1628, 1210, and 820 BC,4 and these dates match Chinese and Egyptian dynastic collapses. We now know that the slow retrograde rotation of Venus was a consequence of tidal locking as it passed Jupiter. Jupiter’s gravitational pull stretched the comet-planet almost to separation, leaving it ovoid, as is depicted in ancient iconography. We also know that Venus first approached Earth some time in the vicinity of 2525 BC (Velikovsky thought it was around 1500 BC). In other words, we are in a much better position than Velikovsky was to interpret the Bronze Age catastrophes, though he deserves great credit for his two wonderful theories. We can also now accurately explain Sekhmet. While Sekhmet frequently received top billing, at times she had to share the stage with other goddesses. These are best understood as thematic or regional variant representations of Comet-Planet Venus. Hathor, the cow goddess of the Old Kingdom, was co-opted into the role of Venus shortly before 2500 BC because her horns matched the twin tails of Venus (the central portion of the tail being blocked from sunlight by the planet itself; hence the name Bull of Heaven in Mesopotamia). At times Hathor would be spoken of as an avenging destroyer, or the goddess would be termed Hathor-Sekhmet. Bastet, the cat goddess of Lower Egypt, was occasionally given a lion head and spoken of as a devastator. But more often she was seen as the benign counterpart of the dangerous Sekhmet: “Sekhmet of yesterday, Bastet of today”, as a hymn from Ptolemaic Edfu put it.5 This suggests a distinction between the Evening Star, which upon occasion would approach and wreak havoc, and the Morning Star, which many ancient peoples viewed as harmless. Various temples contained two goddesses representing the aggressive and the peaceful forms of the Eye of Ra (Venus), as with Satet and Anuket at Aswan or Ayet and Nehemtawy at Herakleopolis.6 Sekhmet, for her part, seems to have been primarily the Evening Star, but sometimes she stood for Venus in general and thus had two sides to her nature. She seems to have begun to be worshipped at Memphis during the Fifth Dynasty, i.e., not long after the first appearance of Venus around 2525 BC. Sekhmet’s husband was Ptah. As consort of Amun, Mut seems to have been a regional Venus goddess. She came to be seen as the mother of Sekhmet and gradually assimilated with Sekhmet, hence the many hundreds of statues of Sekhmet at the Precinct of Mut at Karnak (placed next to the Sun god’s temple just as Venus accompanied the Sun), perhaps previously at the Mortuary Temple of Amenhotep III. The idea seems to have been to provide two statues for each day of the year to worship the Morning Star and the Evening Star. Repeated catastrophic approaches of Venus led the Egyptians to endeavor to channel Sekhmet’s capacity for destruction into the role of a powerful protector. She was placed at the prow of the solar bark as it entered the underworld every night so that she could protect the Sun against his enemy Apophis. The ceremonies of the New Year contained sedulous efforts to appease Sekhmet for fear that she might unleash the evil power of the five epagomenal days added to 360 at the end of the old year. Just as the king derived his power from Ra and emulated him, so Sekhmet protected the king. Sekhmet was depicted suckling the king,8 and kings came to proclaim themselves sons of Sekhmet. Through her protection of the king, who was responsible for maintaining the cosmic order, Sekhmet was seen as the protector of the cosmic order itself. Thus at every occasion it was essential to placate Sekhmet. Otherwise, she might run amok, her hot breath spreading fire and pestilence. Meanwhile, the king relied on Sekhmet to smite his enemies, foreign and domestic. Two myths sprang up around Sekhmet. In The Distant Goddess myth, Sekhmet wandered off to the Nubian desert, so Ra sent messengers to persuade her to return. When she did, she flew into a rage because Ra had replaced her as his Eye. To placate her, Ra placed Sekhmet/the Eye on his forehead in the form of a serpent or cobra, the uraeus, which was to govern the entire world.9 The serpent or cobra, of course, was a fitting incarnation of a comet-planet that preceded the Sun, while the Eye of Ra presumably referred to the oval shape of the Sun’s companion Venus. In a Babylonian parallel, on the stele of Hammurabi the Sun god Shamash (also god of justice) wears a serpent headdress with an oval head behind Shamash’s neck. The distancing of Sekhmet could allude to the disappearances of Venus at Superior Conjunction and Inferior Conjunction, but much more likely it referred to its approaches to Earth. 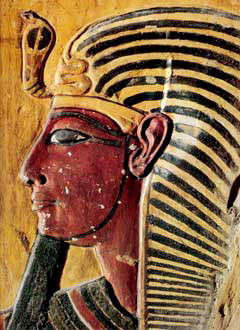 In a second myth, The Destruction of Men, Ra grew old, and men began to plot against him, withdrawing to the desert. Ra sent his Eye in the form of Hathor who, as a furious lioness, proceeded to slaughter them. Not wanting to exterminate humans, Ra had a beer made that had the color of blood, and he made it inundate the place of massacre. Hathor (Sekhmet) lapped it up and became drunk, so she stopped killing. This myth alludes to times when the Sun was seen as growing old (as in Aztec myth) and Venus approached especially close to Earth, leading four times to a catastrophic inversion of Earth, according to Velikovsky (following what Egyptian priests had told Herodotus), and the replacement of the old Sun with a new one (which might be the reason why the Sun came to be called Re Horakhty, Amun, and Aten, though this requires further investigation). Sekhmet was traditionally depicted with a disk on her head. This began as a distinctly oval disk, but over time, as Venus itself became more spheroid, the disk became circular as well and came to be termed a solar disk. In her typical frontal view, Sekhmet wore a double wig that reached down to her breasts, representing the twin tails of Comet Venus. Sekhmet’s dress was red, and she was called “mistress of the red linen” and the “Scarlet Lady”. Red was a common color for Comet Venus worldwide because the atmospheric and interplanetary dust stirred up by Venus gave it a reddish hue. The Great Sphinx, an effigy of Venus as a lion and thus in some manner related to Sekhmet, was painted red. Sometimes Sekhmet’s outfit has a rosette over each breast10, presumably symbolizing the Morning Star and the Evening Star. 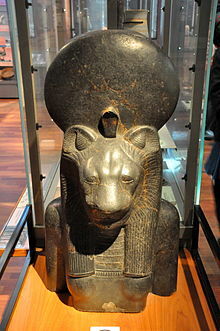 Over time Sekhmet became associated with Osiris and the realm of the dead, protecting Osiris in his struggles with Seth. This might be a reference to Venus lingering in the darkness of the night after sun set, though this requires further investigation. Sekhmet played a major role in medicine, where she was seen as spreading pestilence, as evidently occurred during catastrophic encounters with Venus, yet where she was nonetheless also invoked as a protector from sickness or protector of the sick. Already during the Old Kingdom, some doctors doubled as priests of Sekhmet who would use magic to ward off diseases. Thus Sekhmet became a favorite goddess to petition for recovery from disease. In turn, this role extended into widely popular devotion to Sekhmet among millions of Egyptians, Nubians, and others. Thousands of Sekhmet statuettes, scarabs, amulets, and other good luck charms have come down to us. People would exchange amulets at New Year celebrations. Sekhmet would be implored to protect a humble Egyptian’s health, his family, his crops, and so on. This practice continued alongside the temple cult of Sekhmet into Roman times, long after Venus had lost its tail in encounters with Earth and Mars, and had circularized its orbit so that it no longer approached Earth. In recent times, Sekhmet has become a cult figure of New Age religion. But neither her present-day devotees nor Egyptologists seem aware that Sekhmet was in fact Comet-Planet Venus. Sekhmet’s is not a story of some fanciful, inconsequential cult figure but rather a lesson in how a great ancient civilization grappled with an all-too-real and terrifying threat to its existence. The Bronze Age catastrophes that caused the famines and plagues of Egypt, dried up the Nile, toppled dynasties, and spawned a touching lamentation literature were not figments of the Egyptians’ imaginations. At the same time, the evidence about Sekhmet constitutes yet more documentation of the correctness of a revised and enhanced version of the Venus theory of Immanuel Velikovsky. Kenneth J. Dillon is an historian who writes on science, medicine, and history. See the biosketch at About Us. For further information on the Venus theory, see his The Knowable Past (Washington, D.C.: Scientia Press, 2018). 2. For instance, the notion that Venus approached close enough to lend hydrocarbons to Earth’s atmosphere, and these became the carbohydrates that formed the manna or ambrosia widely reported in conjunction with the catastrophes, seems erroneous. 4. The first inversion was the 4.2 Ka event around 2200 BC. The second seems to have been around 1628 BC; see Mike Baillie. Exodus to Arthur: Catastrophic Encounters with Comets. London: B.T. Batsford, 1999, p. 54. The last two were around 1210 and 820 BC; see David Kaniewski et al. Environmental Roots of the Late Bronze Age Crisis. PLoS ONE 8(8): e71004 (2013). 10. Richard H. Wilkinson. The Complete Gods and Goddesses of Ancient Egypt. London: Thames & Hudson, 2003, p. 182. Mentions rosettes but not Venus.